We offer comprehensive farm tours and child focused experiences, monthly Farm Dinners (April to September), and free public open farm days. We host private events (year round) and the annual Hoes Down Harvest Festival (first weekend in October). Hours: Farm Stand open Fri, 2 – 5 p.m.
Full Belly has been farmed using organic practices since 1985 and is certified by California Certified Organic Farmers. 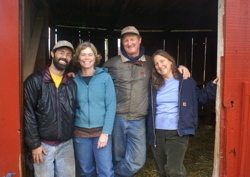 The farm owners are Andrew Brait, Paul Muller, Judith Redmond, and Dru Rivers. With help from about 25 to 30 employees, the farm produces an amazing diversity of vegetables, herbs, nuts, flowers, and fruits year-round. The farm also has a flock of chickens, a herd of sheep, and several cows. Full Belly’s system includes: growing and marketing over 80 different crops; providing year-round employment for farm labor; using cover crops that fix nitrogen and provide organic matter for the soil; developing innovative marketing strategies; and planting habitat areas for beneficial insects and wildlife. 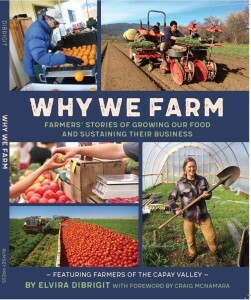 This set of strategies allows the farm to integrate farm production with longer-term environmental goals. Full Belly products are marketed both wholesale and retail. We sell to restaurants, at farmers markets and through a Community Supported Agriculture project, or CSA. Both the CSA and the farmers markets forge a direct connection between the farm and the people who buy and eat its produce. Through the CSA, individuals can receive a weekly share of produce through the year. By belonging to the CSA, members support organic farming practices that are healthful for people and the environment. They also have the opportunity to eat the freshest, most nutritional produce available. CSA members receive boxes of fresh produce delivered to convenient neighborhood locations in the East Bay, South Bay, and San Rafael, as well as in Sacramento, Davis, Woodland, and Esparto. For a small additional fee, boxes can also be delivered right to a member’s door on Tuesday and Wednesday in selected East Bay locations. 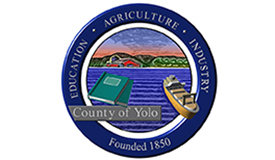 Full Belly is also home to many outreach activities, including educational tours, school group visits, and the much-acclaimed annual Hoes Down Harvest Festival. The Hoes Down Festival celebrates rural life and educates the public about growing food in a sustainable manner. Through such programs to the general public, Full Belly seeks to create awareness of farm realities and to stress the importance of farms in the fabric of our society.